The FasTen Footpath are a great asset in your campsite, garden, or in the backyard. 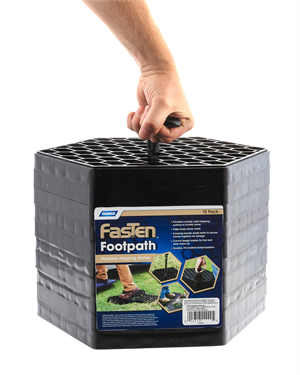 The Footpath can be a sturdy, solid stepping stone at the entry to your RV, beside your camping water source, in that perpetually muddy corner or a designated footpath through a garden. They can even be stacked and used as a step stool, or to create levels amongst your potted plants. The durable, UV-resistant polyethylene has a cut out design, making it easy to clean—simply hose off any mud, dirt or debris. 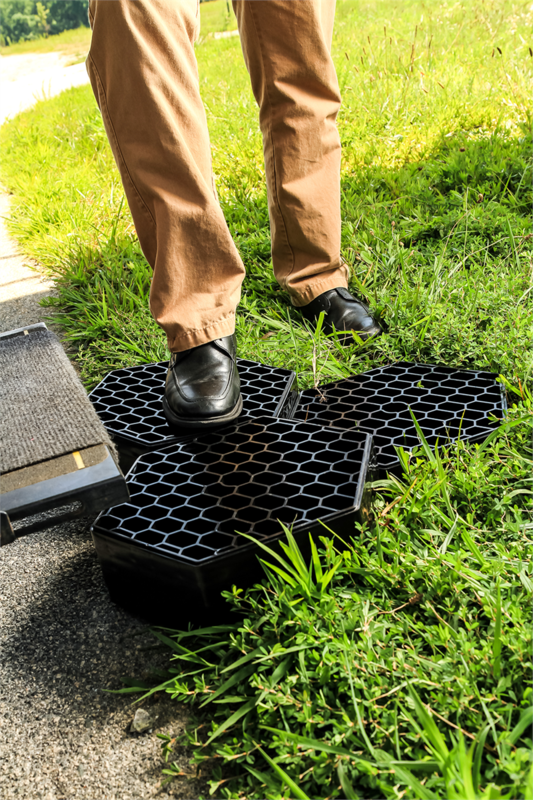 The set of ten Stepping Blocks has an integrated handle that goes through the center of the stacked pads when they are all nested and twists into the threaded bottom pad to hold the set together, then telescopes down for compact storage.